Does this bus run Ella to Tissa? Not clear on here whether this route runs in reverse. Route also doesn’t appear to feature on the NTC website. Is the bus going from Nuwara Eliya to Tangalla ? Hi, is there a bus from kandy to nuwara elya? yes, the 79 goes that way: http://routemaster.lk/bus/79/ but you have to get on it at Peradeniya. You can also get the 47 from Kandy to Nuwaraeliya, but we haven’t added that route yet! i would like to know, if it is possible to book a ticket from Kandy to Nuwara Ellia? Is it possible to take a bus from Ella to Tissamaharama? Can I have the timetable? anybody got any answer? Im looking for the timetable too! Good evening. 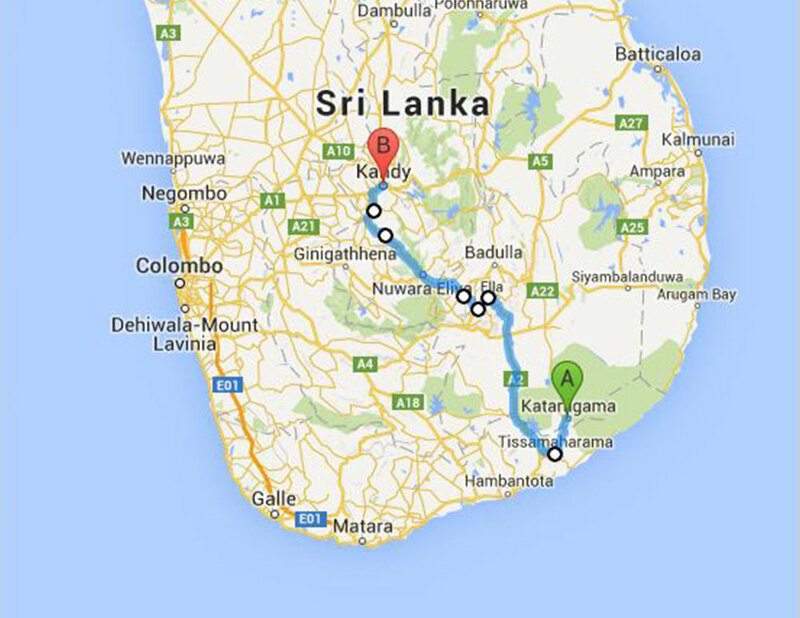 I’m planning to travel to Sri Lanka in one month and this route fits completely to my plan. Is it still available to travel from Kandy to Tissa? Do I have to do any reservation?